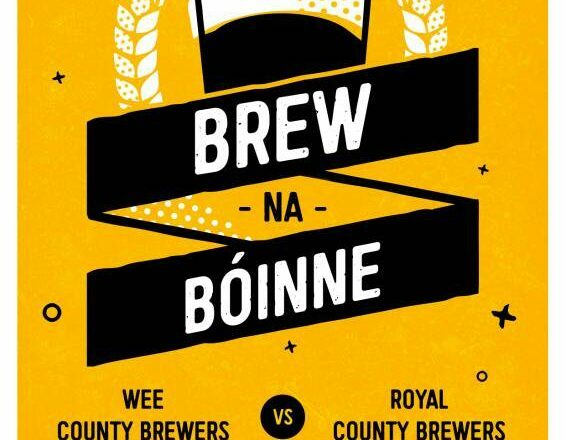 This August sees the inaugural Wee/Royal Inter-County Competition. We’re kicking this competitive legacy off with a fruit addition challenge. All BJCP 2015 styles will be accepted as long as fruit has been added to the mash, boil, primary, secondary……….whatever. The closing date for entries to be registered is 13th August. All entries to be collected by Club Reps soon after the 13th. The competition will be held on Sat 27th August. There will be prizes for best beer and Club with the best average score. All prizes have been generously donated by Loughran Family Malts, The Mottly Brew and The Homebrew Company. Limit: 2 beers per person. 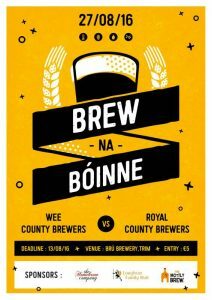 Open to All Full Members of National Homebrew Club who have sworn blood allegiance to ether Wee County Brewers or Royal County Brewers. This competition is BJCP registered. Our kind neighbours in North County Brewers have volunteered to judge on the day.